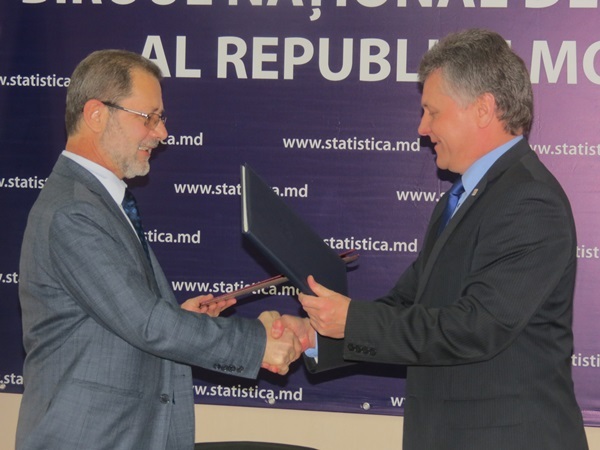 Mr. Sergey Tsvetarski, President of the National Statistical Institute signed the Agreement on behalf of Bulgaria and Mr. Vitalie Valcov, Director General of the National Bureau of Statistics signed the Agreement on behalf of Moldova. On the Bulgarian side, the signing was attended by Mr. Clement Pramov, Counsellor (Political Affairs), Deputy Head of Mission and Mr. Bronislav Denev, Counsellor, Head of the Commercial Office of the Embassy, and on the Moldovan side – Mr. Iurie Mocanu, Deputy Director General of the National Bureau of Statistics and Mrs. Elena Maleru, Senior Adviser, “Statistical Coordination and International Cooperation” Division. implementation and application of international standards and methods, especially of the European Union. The General Director of the NBS, Vitalie Valcov mentioned that the signing of the agreement is a good start for future mutually beneficial collaboration and thanked for the support given. 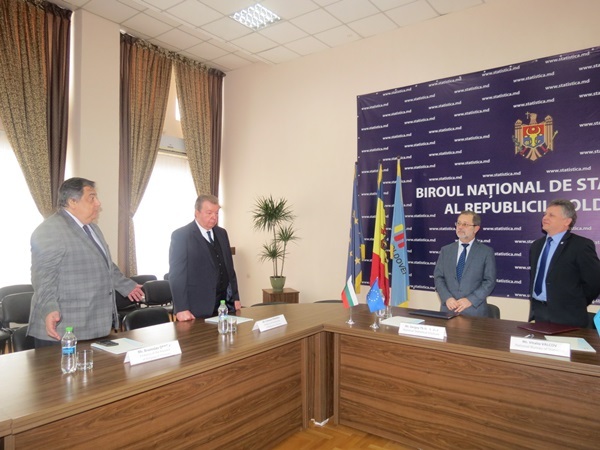 In his turn, the president of the National Statistical Institute of the Republic of Bulgaria, Mr. Sergey Tsvetarski added that collaboration with the statistical offices of the European Neighbourhood Policy-East countries is one of the Institute's priorities and that this is in fact a continuation of the good collaboration already existing with the NBS. 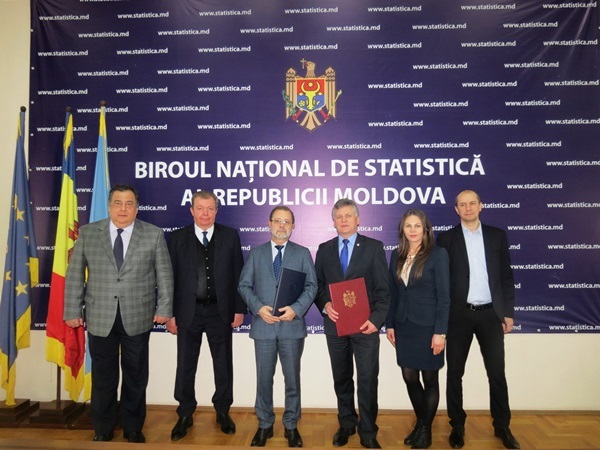 We mention that, the National Statistical Institute of the Republic of Bulgaria has already assisted the Bureau by organizing statistical training courses for young statisticians. 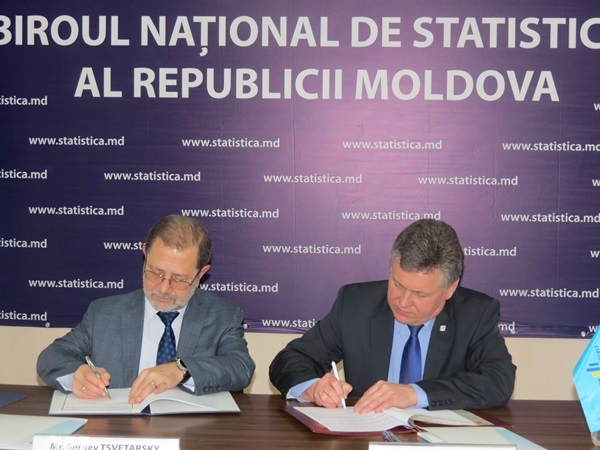 Also among the countries with which the NBS closely cooperates are the National Statistics Institute of Romania in all fields of official statistics, the State Statistics Committee of the Republic of Azerbaijan, the Polish Statistical Office, the State Statistical Service of Ukraine and the State Agency for Statistics nearby the Government of Tajikistan.